OCZ has confirmed that it is pulling out of the DRAM memory market entirely as it looks to establish itself as a leading maker of solid state drives. 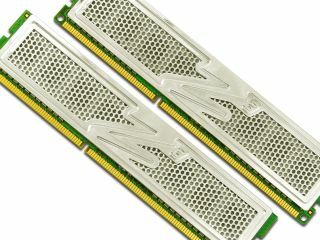 Citing the weakness of the DRAM market, OCZ confirmed that it would 'accelerate' plans to step away from random access memory units during its third quarter results announcement. "In August 2010, the Company announced a strategic optimization of its memory products whereby it discontinued certain unprofitable commodity memory module products with the intent to continue only with certain high-performance memory products," said OCZ's announcement. "However, since that time, there has been well-chronicled, continued weakness in the global DRAM markets." "Accordingly, our DRAM products are now expected to have minimal, if any, sales in the next fiscal year and beyond." That means that SSD performance is now key for OCZ, and the signs are good, with the results showing a record $41.5 million revenue in Q3 – a 325 per cent rise year on year. "Revenue generated from our Solid State Drive products for the third fiscal quarter more than doubled on a sequential basis," said Ryan Petersen, Chief Executive Officer of OCZ Technology. "SSD revenue accounted for 78% of our revenue and just by itself exceeds our historical quarterly revenue totals across all categories, thus reinforcing our decision to discontinue our remaining DRAM products."